During the past few years, TOKY has been deeply involved with The University of Chicago Medicine, which has been at the forefront of medical care since 1927, when the institution first opened its doors to patients. Our work in branding, positioning, and advertising for this internationally respected institution has been significant. One specific project we wanted to share with our readers — the naming and branding of UCM’s new Center for Care and Discovery, designed by renowned architect Rafael Viñoly. 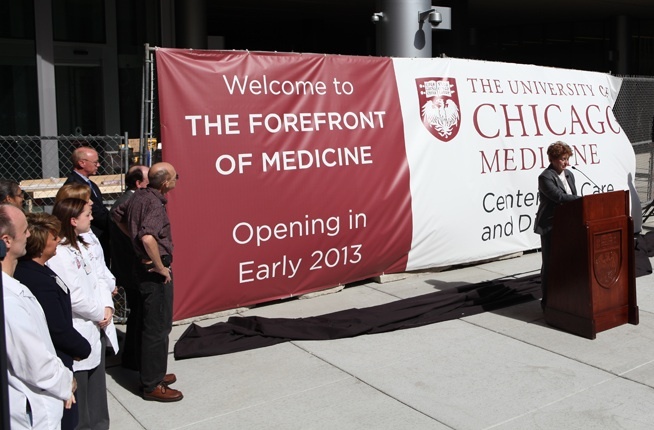 The $700 million, 10-story facility will serve as the new core of the University of Chicago Medicine campus when it opens in February 2013. One of the most advanced clinical and surgical centers in the United States, the building contains 240 single-occupancy inpatient rooms; space for 28 operating rooms with leading-edge technology; and an integrated diagnostic and interventional platform. During the project’s early phase, the new building was referred to temporarily as the “New Hospital Pavilion.” The permanent name “Center for Care and Discovery” encapsulates the hospital’s twin goals — to provide best-in-class care for patients, and to enable the best minds in medicine to engage in rigorous collaboration and breakthrough scientific discovery. TOKY also designed, developed, and launched a website for the Center for Care and Discovery. 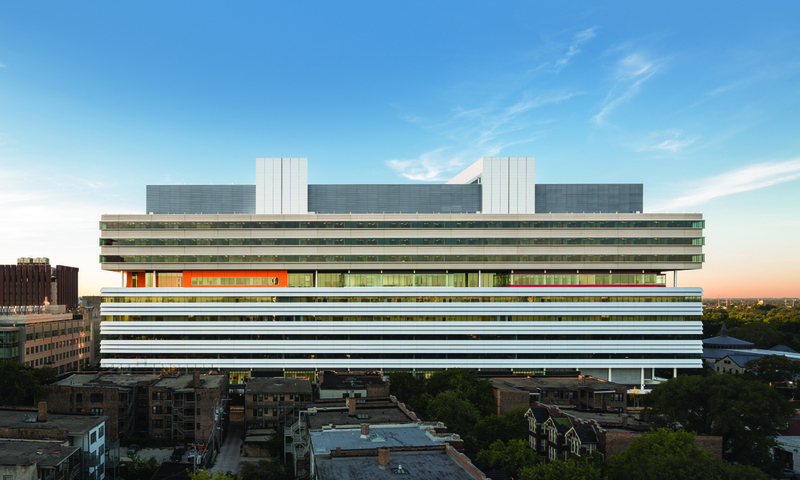 With large images, clear type, and visual storytelling elements like a Timeline and a By the Numbers page, the site helps Chicagoans — and the international medical community — understand the scale, focus, and highlights of this major new building. 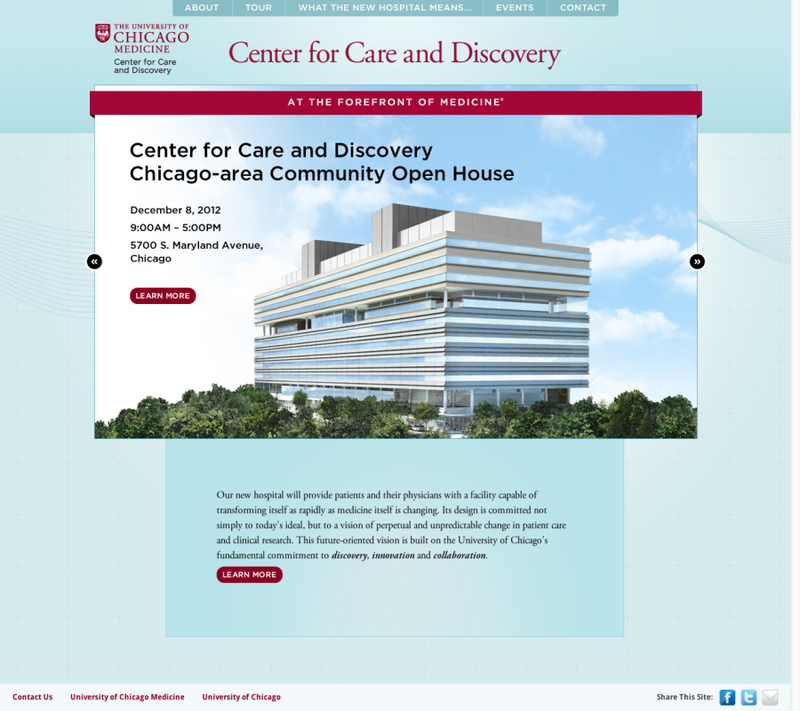 Congratulations to the entire University of Chicago Medicine team on the upcoming opening of the Center for Care and Discovery. It is a project that will impact healthcare locally, nationally, and internationally in the many decades to come.